Bedford Technology introduces SmarterFence™, a new fencing system manufactured using Bedford Technology’s structural recycled HDPE (High Density Polyethylene) and is strong, durable and easy to install. Traditional fencing materials like wood and metal break down over time and require a lot of maintenance. SmarterFence™ by Bedford Technology is truly a low-maintenance product because it doesn’t require painting or staining and won’t rot or crack. The color is manufactured throughout the entire board and additives like UV stabilizers help prevent the product from fading over time. The fencing system also won’t break down due to mold, insects and harsh weather conditions. With any plastic lumber material, expansion and contraction can be a challenge. 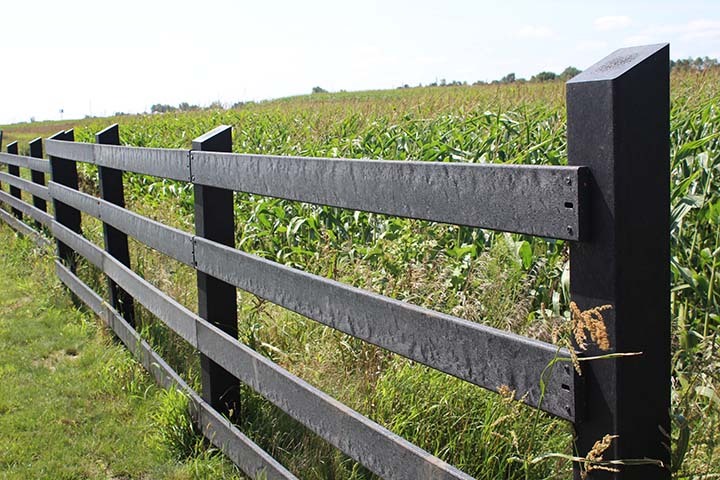 However, SmarterFence™ by Bedford Technology includes a unique fastening method with exact measurements and a gapping tool to remove the need for expansion and contraction calculations. The SmarterFence™ by Bedford Technology uses industry standard 8ft. post spacing and features a familiar and friendly installation method. It is sold with a 50-year warranty. More information at www.plasticboards.com.